Charles Ponzi is definitely under-appreciated. He gave name to the infamous Ponzi scheme, but few people actually know what scheme he pulled. The Italian-born immigrant promised investors a 50 percent return on their money within 45 days in the early 1920s. He said he was buying discounted stamps in places like Italy to redeem them in the United States at face value. Unfortunately for Greece, the Ponzi move is purely to avoid another bankruptcy and has nothing to do with a lavish and luxurious lifestyle. 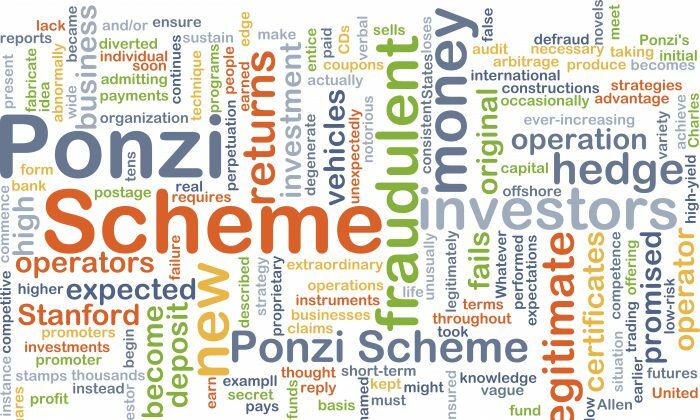 At one point, Ponzi was making $250,000 per day, taking in money from investors and using it to pay off other investors, and funding a lavish lifestyle. Roughly 100 years later in Europe, the Greeks, not the Italians, have taken a page out of Ponzi’s playbook. Unfortunately for Greece, the Ponzi move is purely to avoid another bankruptcy and has nothing to do with a lavish and luxurious lifestyle. Greece had to pay $843 million to the International Monetary Fund (IMF) today as part of its regular repayments for a previous bailout. It took money from the IMF to repay the IMF. Everybody knows that Greece doesn’t have the money—it had been raiding pension funds and local governments to meet payments previously—but it managed to make the payments. How? Well, it took money from the IMF to repay the IMF. According to Greek paper Kathimerini, Greece used its reserve account at the IMF for the majority of the repayment. Technically, this is not a real Ponzi because Greece owns the account at the IMF, so it’s Greece’s money. However, in reality, we are only one step away from a real Ponzi. IMF rules stipulate the reserve account needs to be replenished within 30 days. And since Greece doesn’t have the money to repay, it will have to use money coming from the IMF as part of its bailout package in the next few weeks to fill up the account again. As of this moment, there is about $8.1 billion left to be disbursed under Greece’s current bailout program, half of which originates from the IMF. When the next repayment comes around, Greece can empty the account again and refill it again, until the bailout funds run out. And while Greece’s Ponzi scheme doesn’t promise 50 percent returns (nobody would believe that) and doesn’t make the perpetrator rich, it will keep it out of bankruptcy for the foreseeable future. Country has asked national pension funds and utilities for assistance.